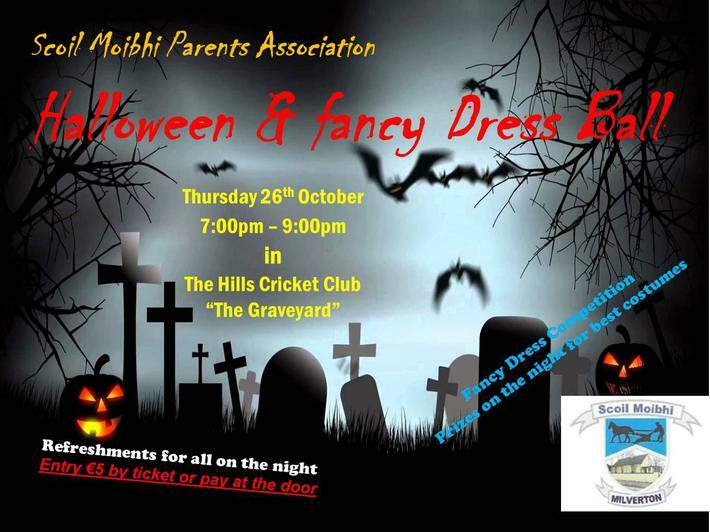 The Parent's Association's Halloween & Fancy Dress Ball is on this Thursday 26th October between 7:00pm and 9:00pm in The Hills Cricket Club. There is a fancy dress competition and prizes on the night for the best costumes. Tickets are on sale at the school gate all week. All monies raised goes towards supporting the pupils and school. Children must be accompanied by an adult.